Seven years ago I decided to abandon my teaching post at York University in the UK and move to Spain. I would become, ehm, a writer. Over the course of those seven years a lot of things have happened. Perhaps the happiest and most gratifying to me has been my book Everything but the Squeal, which I wrote for the publisher Farrar, Straus and Giroux in 2008. It’s a travelogue about Galicia, the north-western tip of Spain, where I live with my wife and young family. Having become a sort of adoptive Galician, it was quite a moving experience to write about the place and its people, especially since it is the homeland of my sons. I didn’t want it to be a typical Brit abroad account of life amongst the foreigners. I have an abiding passion for food, and I wanted to combine a portrait of Galicia and its people with a food-based theme. Apart from anything else, food up here in Galicia is very close to people’s hearts, and a book about Galicia that didn’t mention food would have been ridiculous. I also thought that some sort of dramatic quest would provide structure for the book. The idea I hit on was to take the example of the pig, and to travel around Galicia for a year trying to visit as many places as I could, seeking out as many different traditional ways to eat pork as possible. In effect, the quest was to eat every bit of the animal over the course of a year: everything but the squeal. I more or less managed it, including bladder puddings and braised pancreas. When the book came out, it was reviewed in Newsweek, The Economist and the New York Times, amongst many others. Back home in Galicia, I became something of a minor pork celebrity, appearing live on Galician TV, as well as numerous times on the radio. It wasn’t so much the fact that I had written a book in English about Galicia; I had written the book. Mine was the first English language book of its kind about Galicia since Nina Epton’s Grapes and Granite in 1953. Essentially, if you wanted an English expert on Galician food and culture, I was your man. Since then I have given talks about the book and about Galicia all over Spain, as well as in the UK, where the book was published in 2009. I also spoke at the Tasting Australia food festival in Adelaide 2010, where the book was a finalist in the Cordon Bleu Food Book of the Year competition. The book itself never sold all that well, perhaps around 10,000 worldwide, which certainly didn’t persuade the US publishers to let me do a follow-up. Nevertheless, it has been a wonderful experience, and has opened many doors. I became a feature writer for the food magazine Spain Gourmetour, and the chef Rick Stein asked me to help with the organisation for his recent TV series about Spanish food (I’m also interiewed the series, looking a bit jowly for some reason...). Apart from this, I’ve had a pretty much constant stream of emails from readers all over the world who’ve enjoyed the book, most gratifyingly from a number of chefs. Here’s the strange thing, though. 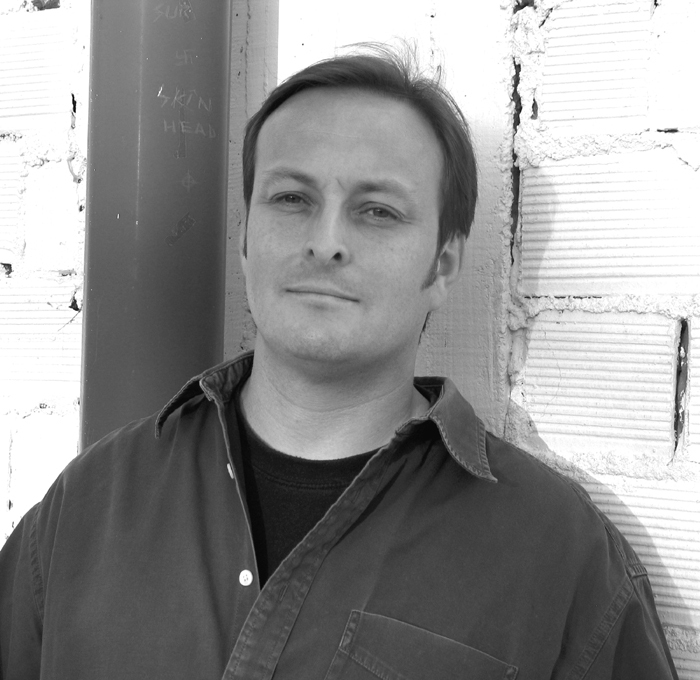 This year I have made some tentative steps into the world of ebooks, self-publishing a couple of crime novels. Given that my Galician book was already published in the US, UK/Commonwealth, Australia and NZ, I didn’t hold any English e-rights. Nevertheless, one by one I politely asked publishers if they’d mind if I did my own ebook version, complete with photographs and a new cover. Amazingly they all said yes, even Farrar, Straus and Giroux, who have their own ebook version, but who nevertheless allowed me to sell my own e-version in the US. So, not only was publishing Everything but the Squeal far and away the best experience I’ve had in publishing, I have now been given a second bite of the cherry, which, for a food writer, is most gratifying. 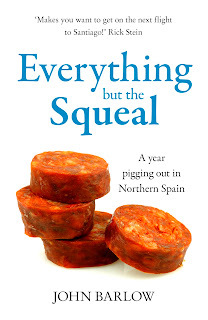 NB Everything but the Squeal is available for free on Amazon until midnight June 30th. Read an interview with John Barlow from last year here. Thanks for coming on the blog, Jon! I downloaded my copy of your book, and I'm looking forward to reading it. I'm intrigued. Do you find that Galician cooking shows any French influence (or at least, the southern part of France?) And you've really got me wondering about braised pancreas (it may be hard to find a pancreas in our local supermarket, though). Hi Sheila. Galician cooking is remarkably simple. There are almost no spices or herbs or complex sauces (no stock based sauces, for example). There is a lot of pot cookery (that is, things cooked in a single pot), and a reverence for the quality if ingredients over technique. I once sat and watched Rick Stein eat hake 'a la gallega' (dribbled with pimenton suffused olive oil) and go into paroxysms about how good food doesn't need fancy prep. As for pancreas, no, it isn't eaten much anywhere these days, even in Galicia, where ear and tail are still very much on the menu!